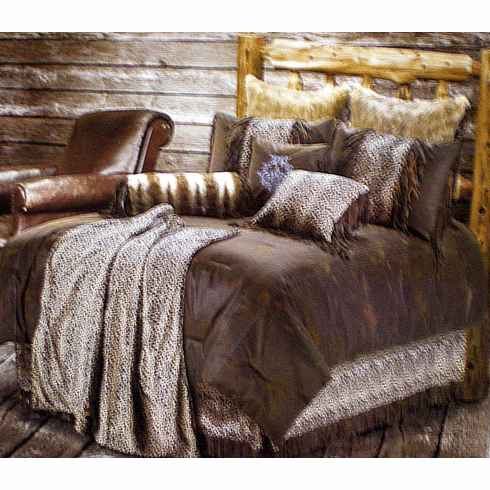 Show off your wild side in your Western Decor.The overstuffed,polyester filled comforter has the look of leather but super soft to the touch. The Western Bedding Set includes a comforter,two leopard print pillow shams a leopard print dust ruffle and a fringed leopard print throw pillow!! King comforter 110" x 96" Pillow shams 21" x 27" Dust ruffle 78" x 80" x 18" Leopard pillow 18"x18"